Lillian Malster was born in Hamilton in 1890, a daughter of Frederick Malster and Martha Croft. They lived at Anchorage, North Hamilton. Lillian, better known as Lily, attended the Hamilton State School and the Milton Street Anglican Church Sunday School. By 1912, she was nursing at a private hospital in Colac and in 1913 passed her nursing examination. 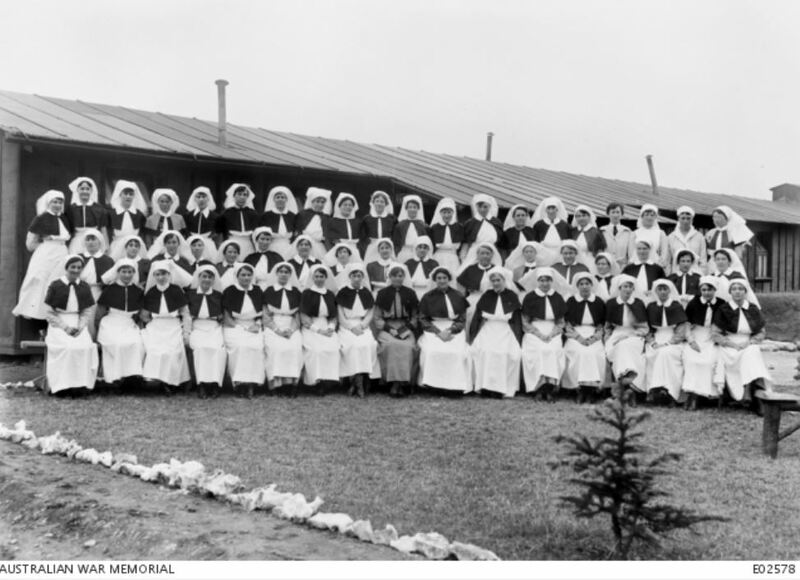 She also nursed at a private hospital in Adelaide and her service record state she trained at the Austin Hospital in Heidelberg. By the time the war broke, Lily was a Nursing Sister. She enlisted and was initially tentatively accepted with her appointment officially confirmed at the end of April 1915. Lily left for London on 20 May 1915 sending her parents a cable on arrival in late June. She was expecting to go to France but instead, she was off to Lemnos Island, Greece south-west of the Gallipoli Peninsula to nurse the sick and injured evacuated from that campaign. 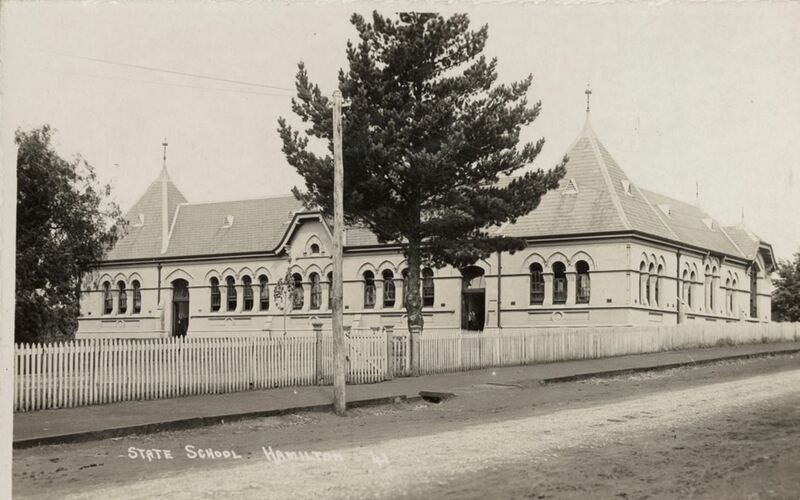 On 4 June 1915, while unveiling the Hamilton State School Honour board, Mr Westacott, the Mayor of Hamilton used Lily’s story as an example to the girls of the Hamilton State School. Lily was the only female on the honour board and he stressed the “necessity for girls, as well as boys, to rise to the ideals of empire.” He said Lily “had gone to the front to emulate the work of Florence Nightingale. The distinctive notice was deserved, for Sister Lily May Malster has every reason, or will have when she returns, to be proud of the fact that hers is the only female name in the list”. 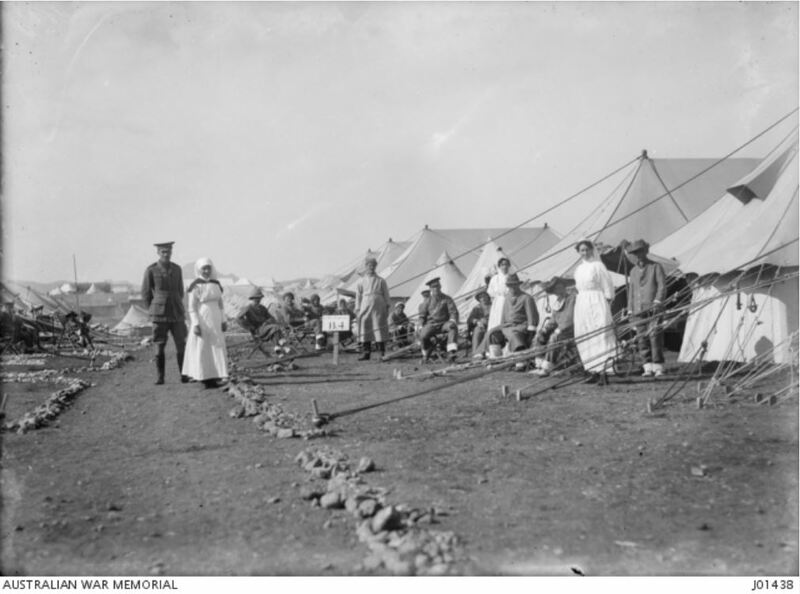 By now Lily was on Lemnos and coming to terms with the conditions, Lily took time during her shift at the 3rd Australian General Hospital, Base Depot on 23 August to write to her father. Here I am at work, now, and, by jove, it is work too. When we landed one Sunday night we had a march from the pier up to this place—about a mile—over rough stony ground…About 5.30 o’clock next morning some of us were told we were to go on duty at once. We went “on duty” to a tent with 20 mattresses, blankets, four stools, a couple of teapots and a jug. …Then the patients began to pour in. We soon filled up. The poor men were thankful to get on a mattress. Some of them said it was nearly twelve months since they had been on them. They were all hungry… As none of our equipment had arrived, and there was nothing to feed them in, the officers lent their mugs, etc. We got some from the mess tents, too. To feed 40 patients with about six cups or feeders is not an enviable job. …I know one girl who had only two cups for her 40 men. No knives, forks, spoons, or plates—fingers were made before those-and we could not indulge in such luxuries. We had two bowls—dressing bowls—to wash them in. Bowls about six inches across. There were no towels. We had to use triangle bandages instead. Some of the men said they had not seen soap or soft water for six weeks. Those who could not swim used to wash on the beach. Since this war numbers have told me they have learnt to swim. It is their only hope of getting a wash.
Our water supply, too, was limited. About two cups of water would do a patient all over. We ourselves were doing with the same quantity of water. The poor orderlies had to carry the water nearly a mile. But now, thank goodness, we have a condenser working, and the water is laid on not far from my tent. My tent seems to be the most convenient of all the important ones. On one side is the theatre, opposite is the surgical stores, and on the other side is the quarter master’s stores. Today we actually got our beds, and now the men are between sheets and in pyjamas. When the first lot came in we had to take everything off, and let them lie between the blankets in their birthday garments, or, as one said, “wrapped in a smile and bathed in perspiration.” …Some of the nurses have cut their hair off on account of the heat. The heat is no worse than at home. But it is being in the tents and running outside to the smaller tents that tells. 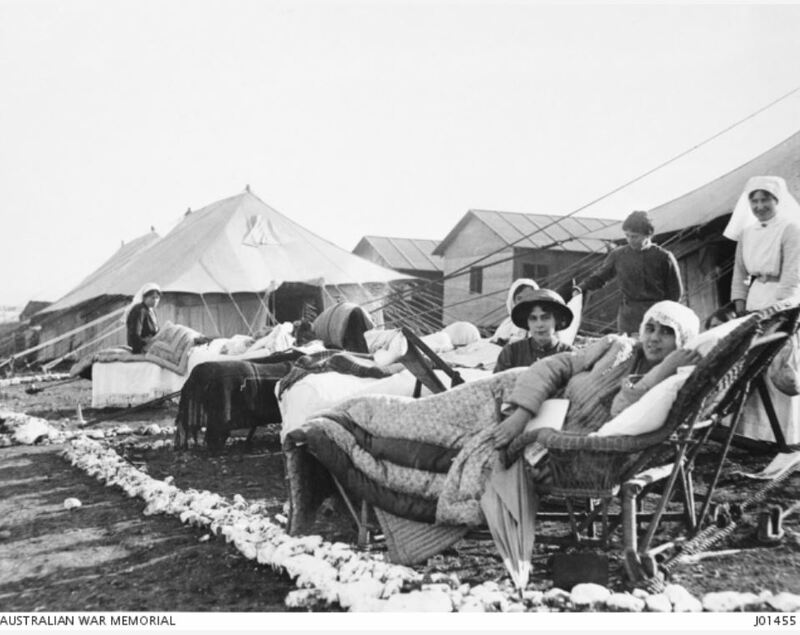 I have one large tent and four bell tents, and am working for Colonel McCormick (Sir Alexander McCormick, of Sydney). It was a change to get something we could eat for once, but since then we are getting better food. The bread was absolutely uneatable—so bad that they gave us biscuits only. I am so glad we did not go to France, as was intended. I like being amongst our own boys. The English ” Tommy ” in physique cannot come up to the Australian at all. The first Sunday night (not the one we landed) we had church out in the open, and all who were able attended. Four men came up in white naval uniform. They were about ten minutes late. After service the colonel went up to them, and they apologised for being late. They were just beside me, and one of them turned out to be Prince Albert. Fancy the first service on the island, and he to be present. The Dean of Sydney has been attached to us on account of his battalion being cut up, and he has no unit now. Lily was admitted to hospital there on 26 October 1915 and discharged on 12 November 1915. With the Gallipoli campaign over, Lily arrived in Alexandria, Egypt from Mudros on 27 Jan 1916 before moving on to Abbassia in Feb 1916. On 5 October 1916, she arrived in England with the 3rd General Hospital based at Brighton. She was there until 11 April 1917 when she went to Abbeville, France almost two years after she first arrived in England expecting to go to France. If you look up the map you will find the place right on the Somme, along with plenty of mud, and when it is hot, nice and dusty. Abbeville is the name of the spot we now call home. We hear all kinds of woolly and wild rumours that we may depart for fields, afresh and pastures new. The same old address still finds me. We are all in tents to nurse I mean, but thank goodness we are living in something that has four walls, and one has not to pop down and duck here, there and everywhere, to get inside. When we first came we were in those bell tents, as we were billeted at the second station hospital, and also helping there. Some of the girls are still in marquees, as all the huts are not yet finished, but they are gradually getting the place in going order. As we are not properly working some of our girls are helping with the South Africans who are our neighbours. As well as the aforesaid mentioned people the hospital, where more of ours were, the Yankees have taken over. It was some place too, on the coast. I went down there for a joy ride when my pal was there. Things are slack with us just now. In fact, they have been so practically since we have been over. When I was at the Station Hospital I was in the German prisoners’ ward. Do you know, the whole time I was in it they did not have a sentry on. I suppose you will wonder too what my feelings towards them were. They were men like our own, and were grateful old things, for what they had done for them. They were very badly wounded. In one way one felt glad and then the humane side of our nature came up and one was sorry for them. I only hope that all these stories we hear of in regard to the treatment of our boys are not true, and if they get only half the consideration their prisoners get at our hands, they will fare well indeed. There Is a compound not far from here, of them; Great fat, well-fed looking things. They do the road making, etc., about the place and at the hospital, too. It makes one’s blood boil sometimes to see them eating our food and then hear of the treatment of our dear boys. Suppose you read of those boys getting away from the line. It was all quite true, as General Birdwood had been down here and was telling us about it. Lily went on leave over Christmas 1917 and returned on 7 January. She contracted German Measles and was admitted to hospital on 12 February then transferred to the 16th General Hosptial. She rejoined her unit on 16 March 1918. On 23 February 1919, Lily was still in France and spent a few weeks on leave in Rome. She remained in France until May 1919 when she went to England. Eight months later, after five years overseas, Lily finally arrived in Australia on 18 February 1920, disembarking in Adelaide. Those going on to Melbourne were then transported on and met their relatives at the Nurses’ Hotel in Spring Street Melbourne. Lily’s parents caught the train from Hamilton to meet her. 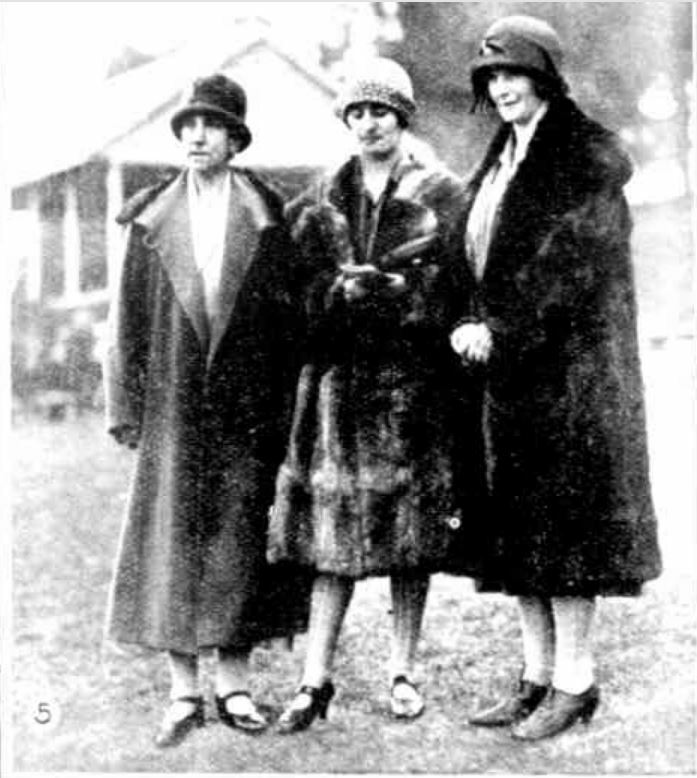 She then moved to Melbourne, living in Hawthorn and later Canterbury. She continued to nurse during that time at the Mont Park Psychiatric hospital. In 1935 she was made the honourary secretary of the city branch of the Mental Hospitals Auxiliary. Never marrying, Lily lived out her days with her sister Daisy. She died in 1972.